Heady cocktails, big Thai flavours and a magical setting – the first-ever Nomada dining event is popping up at our favourite greenhouse eaterie! 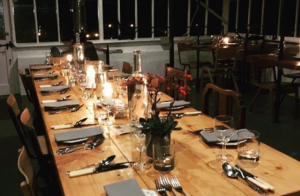 Quick, there’s still time to snaffle a table at the first-ever Nomada culinary pop-up at Miserden Estate’s dreamy greenhouse eaterie (Gloucestershire’s answer to Petersham Nurseries, no less) on Friday and Saturday night (9 & 10 Feb). 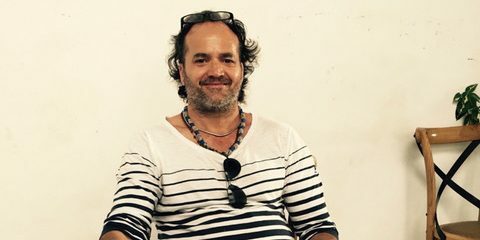 A Thai feast awaits courtesy of Cuban chef and global traveller Ruben Leon-Acosta, who’s done turns at Ottolenghi and Jamie Oliver’s Fifteen, and is known for his big Thai, Vietnamese, Morrocan and Cuban flavours. The evening kicks off, as all the best evenings do, with a cocktail – Leon-Acosta’s very own Projito, a Prosecco Mojito with lemongrass, which sounds right up Muddy’s street. Then it’s BYOW for a feast of consommé with prawn & lemongrass relish to start, a main of Thai red curry with chicken, jasmine rice & a Monk’s offering (intriguing), and for dessert, rice caramel with sesame seeds & peanuts. It’s an absolute bargain at only £35 a head and the setting will leave you swooning. The 1920s greenhouse abuts the prettiest Cotswold stone wall and the whole space is filled with incredible flower arrangements by The Cotswold Flower Company (which has royal affiliations, don’t you know!). Wood-burning stoves keep things snug and cosy, torches light your way from car park to café and the whole experience is magical – Mr M and I went to a pop-up there before Christmas and it was the best night ever. So don’t dilly dally, tickets are selling fast! You can book here.